•	Throttle controls, usually incorporated into the transformer, but not always, for controlling train speed. •	Momentary switches for remote turnout control. 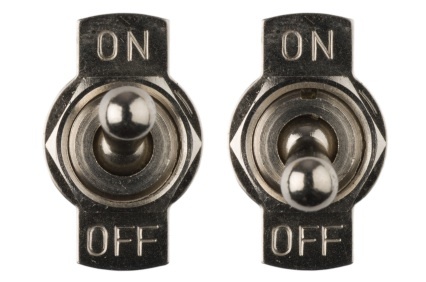 These are switches that return to the off position automatically after they are pushed on. You have to use these for most types of turnouts to prevent damage to the solenoid within the turnout control. •	Toggle switches for control of blocks or sections of track. •	DPDT (double-pole, double throw) toggle switches for changing polarity to reversing loops and wye turn-around tracks. •	SPDT (single-pole, double throw) toggle switch to control your turntable motor – forward and reverse. •	DPDT toggle switches to control turntable track power and polarity, and also to control the power and polarity of the tracks coming off the turntable. •	Slide or toggle switches to control accessories (building lights, etc.). 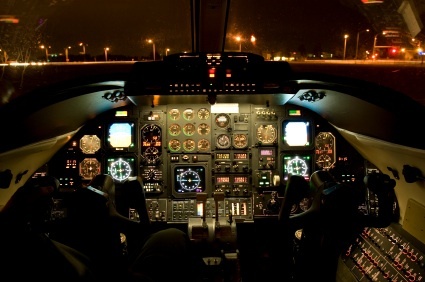 The main question is, with all these different switches on your control board, how do you know what switch goes to what device? To answer this question, model railroaders have come up with a way of basically putting a map of your layout on the train control panel and placing the switches in the appropriate positions on this map so that it will be easier to determine what controls what. In order to create this map and make it simple enough and neat enough to be understandable, it should be a very basic, simplified and condensed version of the mainline and its branches. It may be stretched out into one long schematic on your control panel, or it may correspond very closely to the track plan of your layout – whatever seems to make the most sense to you and whatever will be the easiest for you to be able to correlate your switches with the devices on your layout. If you have used block wiring, you should have a toggle switch located directly on the line of the map that corresponds with each block on your layout. 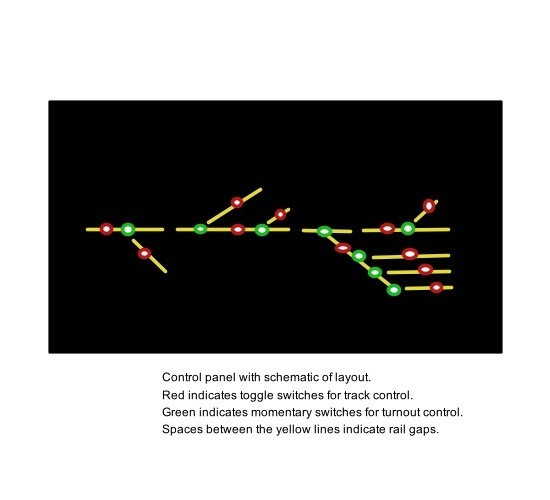 All the switches that you use for track/block control should be of the same style or color so that you recognize it as a track control switch. All switches that control remote turnouts should likewise be similar so that you immediately know which switches control the turnouts. These turnout switches should be located in the proper position on the train control panel map that corresponds to where this turnout is on the layout. Similarly, all the accessory switches should be the same style or color (but different from the other categories so that they are immediately recognizable) and should be placed appropriately in the position corresponding to the location of that accessory on the layout. All the turntable switches should also be positioned on the control panel map in a way that makes sense – one switch (SPDT) in the middle to control the power to the turntable motor, a second (DPDT) switch also in the middle to control the polarity of the turntable track, and the rest of the DPDT switches arranged in a circular manner to correspond to the tracks coming off from the turntable. •	Cut a piece of hardboard to the size that you need. Make it large enough to get your map and all your switches on it so they won’t be too cramped, but not so large that the control panel will be obtrusive. •	Paint the board a high gloss light color like yellow, white or tan, using spray paint from a can. •	After your map is completed with the masking tape, then paint the whole board again a high gloss black or other dark color. •	Let this dry and give it a second coat. •	After the second coat is dry, remove the masking tape. •	You can then apply a coat of clear high gloss polyurethane or shellac if you like. •	Use a high-grade 1x2 inch strip of wood for the front of the box. Make 2 triangle-shaped pieces of the same wood to make up the sides assuming you want an angled control panel; otherwise, use rectangular 1x2 inch boards for the sides and the back. •	Next, place hinges on the bottom front edge of your control panel, and then fasten the control panel to the front of your mounting box frame, so that it can be opened in a way that would be most comfortable for you to install your switches and wiring. •	On the bottom or back of the mounting box fasten a flat, measured and cut piece of board to cover only ¾ of the back of the frame so that wires can easily come in and out of the box from the layout. •	Now fasten the back or bottom of the box to the front wall of the fascia or benchwork securely. Use wood or metal braces for support if necessary. In the case of remote turnouts, you can orient the momentary switches such that when it is pushed to the up position, it throws the turnout to the corresponding up direction on the map, and down if you want the train to follow the lower track on the map – in other words, orient the momentary switch so that it makes sense for the direction in which you want the train to go. You can wire these momentary switches to relay switches so that they will turn on a light mounted on the map corresponding to the track to which the train will travel. You can also wire these momentary switches to a relay to turn on power to the track to which the train will travel. That way, you only have to hit one switch to throw the turnout and turn on the appropriate track power at the same time. If you have a fairly large train layout, and especially if you’re using walkaround throttles, you won’t want to be running back and forth to the main control panel to throw turnouts or turn on other accessories. For this reason, you will probably want to have smaller control panels located on the fascia in front of high traffic areas, like freight yards, turntable and roundhouse areas, or perhaps even wherever you have a remote turnout that you want to be able to easily access. These smaller control panels will only need to contain the local map of that particular area that you’re running your trains through at the moment. They can be built the same way as described above and mounted against the fascia only requiring enough space between the fascia and control panel to contain the bottoms of the switches and the wiring that goes to them. An alternative to this would be to put your small map right on the fascia using stencils or tape and then drill and fasten the switches directly to the fascia in the proper positions on the map. If you have used foam sheets for your subroadbed, running the wiring from the local turnout to the fascia control board should be as easy as creating a channel in the foam that will be later covered by scenery. 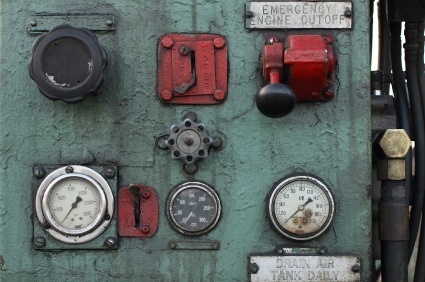 From "Train Control Panel" to "Model Railroad Wiring"
From "Train Control Panel" to "Homepage"